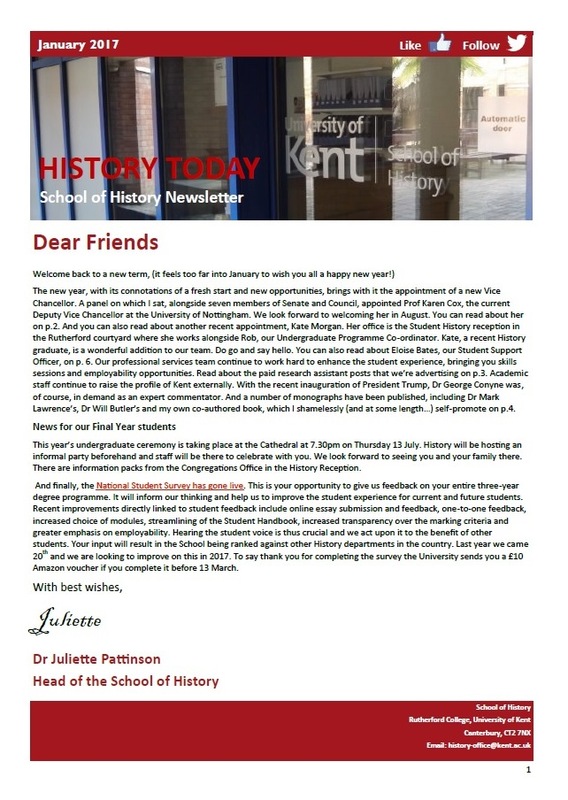 In February, I enrolled as a Recruitment, Admissions and Communications Intern for the School of History as part of the Work-Study scheme. The work-study scheme is run by the University’s Career and Employability Service and helps students to undertake part-time work in a range of career pathways. As I am interested in social media and communications as a career path after I graduate, the e-mail from Work-Study scheme describing this internship was incredibly attractive to me. In particular, the social media focus of the internship was what encouraged me to apply. Even better, the role is located within the School of History, the subject I am currently studying. 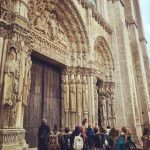 The role has allowed me to work alongside the very people that organise and administer my course, which has increased my sense of involvement within the History department. 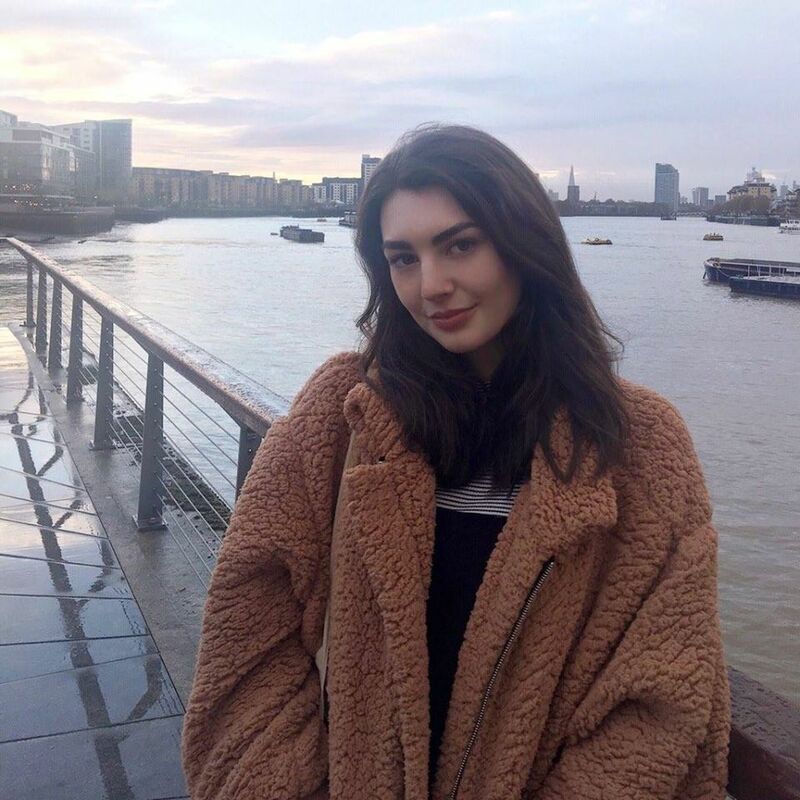 I believe that the experience I have gained during this internship has given me an insight into communications related jobs, and really helped me to understand that this is something that I would like to pursue. The tasks that I have carried out have been wide-ranging. From learning about the School of History’s undergraduate application process to writing content for Twitter, the variety of tasks have been interesting and engaging. I have also been able to develop my editing and creative skills by writing blog posts and newsletter articles. This is something I have never done before, and so, the internship has helped to widen my skill set. 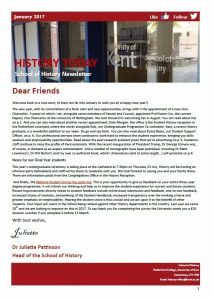 It has also been really interesting to learn about the very process that I went through in 2016 when I applied to the University of Kent. Under the ‘admissions’ part of the internship, I have been able to see behind the scenes of undergraduate admissions, by sorting through and organising applications. For me, working (sensible hours!) alongside my studies has been incredibly valuable. I have always understood the importance of having work experience, as it has employability benefits and can help with career progression after graduation. 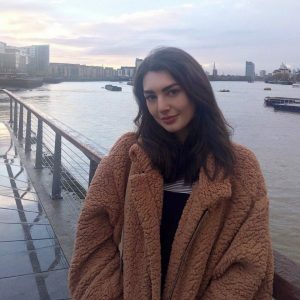 The Recruitment, Admissions and Communication Internship role has been perfect for me, as it has given me a great opportunity to work flexibly and gain relevant work experience alongside my studies. I have always struggled with knowing what career path I want to follow, and sometimes it feels as if everyone around you is on track and has a set career plan that they want to follow. If this sounds familiar and relatable, I would strongly encourage trying to gain work experience in areas that you enjoy, and think you might like. There are many opportunities to explore, and you might surprise yourself and find something that you enjoy and want to follow. 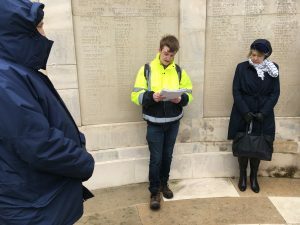 Earlier in the month, 11 students (8 MA and 3 PhDs) and 4 members of staff visited Ypres in an exciting and valuable trip. Students were exposed to different museum interpretations of the First World War, visiting four separate museums, including the In Flanders Fields Museum Ieper. Dominiek Dendooven, the Deputy Curator, gave an introductory session, which helped annotate the students as to the approaches and underpinning principles of the institution. 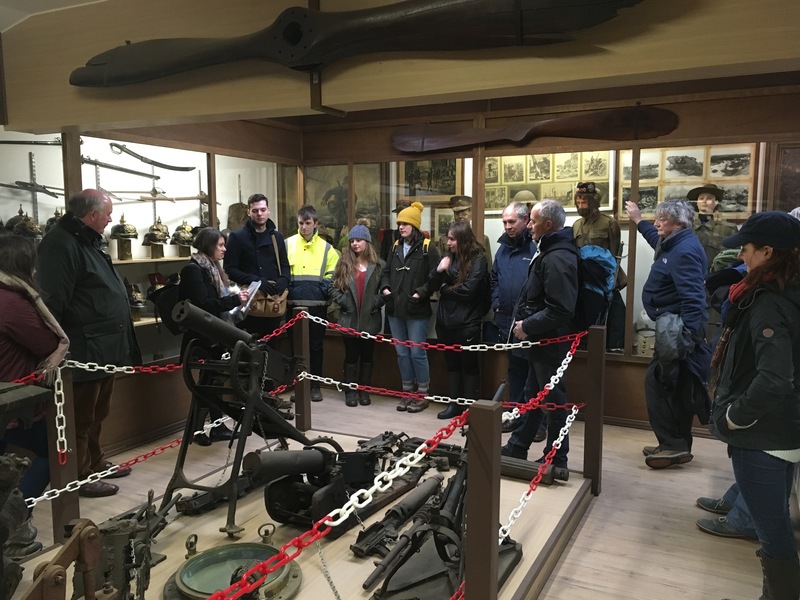 This was followed by a visit to the Passchendaele Memorial Museum at Zonnebeke, where Projects Co-Ordinator Debbie Manhaeve gave an overview of the museum’s activities and mission, as well as providing an excellent insight into its archives. Finally, the last two institutions were private concerns, being the Hooge Crater Museum and the Hill 62/Sanctuary Wood Museum. 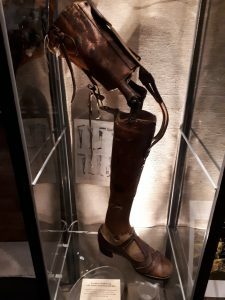 These were deliberately chosen, as the Hooge Crater Museum reflects what dedicated local historians can achieve and the Sanctuary Wood Museum is run almost solely for profit and very little has changed from when it first took visitors in the early 1920s. 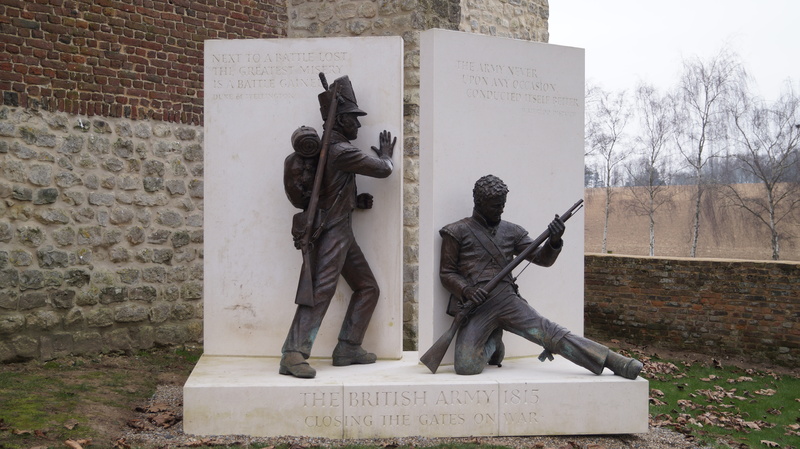 The aim of the trip was to expose students to different commemorative cultures, achieved through exploring a range of different memorial sites. Cemeteries and memorials of the Commonwealth War Graves Commission were explored and subsequently contrasted against the French, Belgian and German counterparts. Professor Sophie de Schaepdrijver, formerly a Leverhulme Visiting Professor in the School, was particularly helpful, as she interpreted the German cemetery at Langemark absolutely brilliantly, proving the students with fascinating insights. Some students were asked to prepare short introductory talks at certain spots, with Nick Perry, Amy Harrison, Natasha Silk, Julian Daggett, Matt Pearce and Brad Robb providing intriguing and informative accounts, including the stories of relatives from the war, and their graves and sites of commemoration. Finally, students were trained to act as guides, as part of our AHRC-funded centre, Gateways to the First World War, which is leading a project that provides student guides for the Anglican Church of St George’s. Students took visitors on the trail of the original generation of pilgrim-tourists in the 1920s. This was led by Amy Harrison and Natasha Silk. This was a great trip, thanks to the Faculty and school funds gained, which were invaluable. Our first stop was the Wellcome Collection where we had the opportunity to visit the library and the museum there. 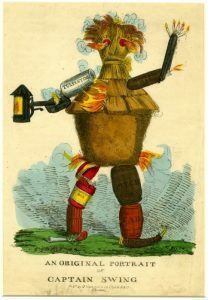 Whilst visiting the library we were given access to a selection of pieces from the Wellcome’s archive. These included medical text books and hand-written lecture notes from students of some of the ‘founding fathers’ of surgery like Joseph Lister. 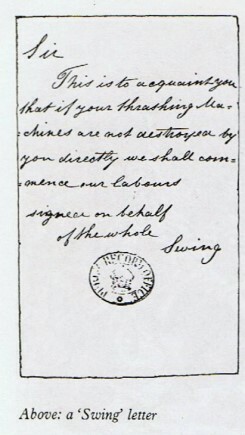 The star piece, however, was a letter from a student surgeon writing home to his father to ask for money, and also to complain of how hard it was becoming for the resurrection men to supply bodies for the student’s anatomical study. 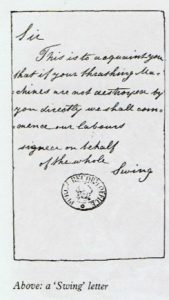 Luckily for us, a magnifying glass and transcripts were supplied since the letter showed that doctors’ handwriting had a long history of being awful. The Wellcome’s museum held several exhibitions all related to medicine and the understanding of our bodies. These exhibitions demonstrated that the Wellcome’s claim to be a space for the ‘incurably curious’ didn’t lie. From a slice of a human body to a skeleton with its pelvis replaced by its skull, one exhibition provided an artistic interpretation of modern medicine. The Wellcome’s real highlight however was the ‘Medicine Man’ exhibition, displaying parts of Henry Wellcome’s collection of curiosities concerning medicine, health and the body. 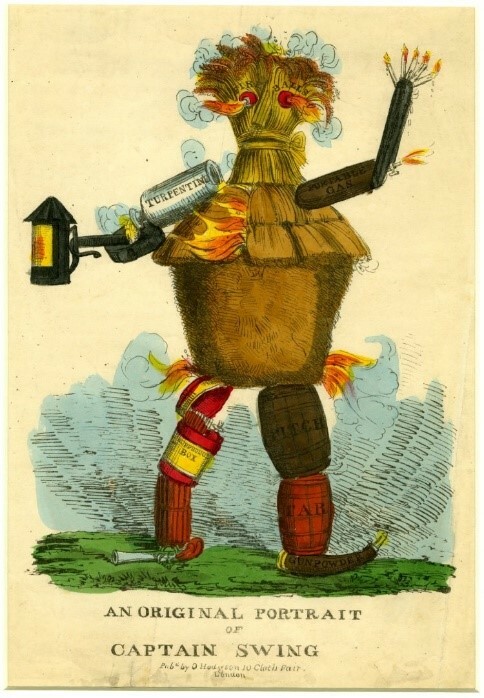 We were half way through our module on the history of surgery and finally the objects allowed us to see the transformation of the rough barber-surgeon to the nineteenth-century refined and professional man of surgery that we had been studying. Rows of amputation saws, forceps and enema syringes suddenly made the pre-anaesthetic operations that we had been reading about feel very close and real. Beyond surgery, the exhibition also satisfied our human fascination for all things weird. Using objects like phallic amulets with horse legs (…really) and male anti-masturbation instruments, the exhibit demonstrated that the need to understand the body from its birth to its death transcends cultures and ages. 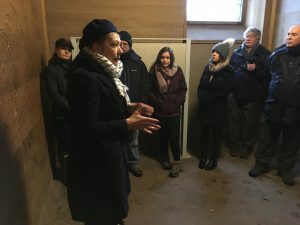 Our day got even stranger when, to get to our next destination, we were led through a tiny door and up flights of a tiny, wooden spiral staircase. In the attic at the top of the stairs we found the Old Operating Theatre. Part museum, part cabinet of curiosities, the Old Operating Theatre was really unique. Then, we were led into what resembled a lecture hall made entirely of wood and filed into rows looking down on to a wooden table. From the gouges in the wood it was clear that this was an operating table and that we were standing in a nineteenth-century operating theatre. It was even more clear that this was the case during the talk we were given on nineteenth century surgery. During the talk our speaker revealed that when the theatre was rediscovered underneath the floorboards workers also found a thick layer of blood-soaked sawdust. When we were told this we quickly volunteered a member of our group -Marissa- to go down to the operating table and help give a demonstration of how an amputation procedure would have been carried out before the introduction of anaesthetic and development of antisepsis. During this talk we also got the chance to handle a few surgical instruments. The lithotomy scoop in particular showed us why it was that patients preferred the fastest surgeons. Following the talk we were able to explore the rest of the museum which included collections of surgical equipment, human remains and medicinal herbs giving us an idea of how medicine and illness had been understood in the past. 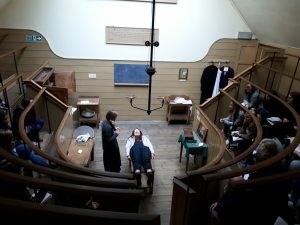 By this time our day was ending and after finding out that the operating theatre and museum were in the attic of the church of the old St. Thomas’ Hospital this suddenly wasn’t a place that you wanted to be left alone in the dark in. 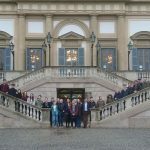 The School of History’s Dr Jan Loop is set to led a team of researchers in a new project made possible by a €10 million grant from the European Research Council (ERC). The project will investigate the impact the Qur’an had on cultural, religious and intellectual history from 1150-1850, and will produce ground-breaking research in collaboration with the universities of Madrid, Nantes and Naples. The outcome will be academic conferences, books and a multimedia exhibition demonstrating the place the Qur’an has within European cultural history. History student Mary Sullivan recently completed some research as part of our recent Beyond the Barricades Exhibition, which is bringing together artists from various nations, looking at different dimensions of a revolution by focusing on the concept of Barricade. 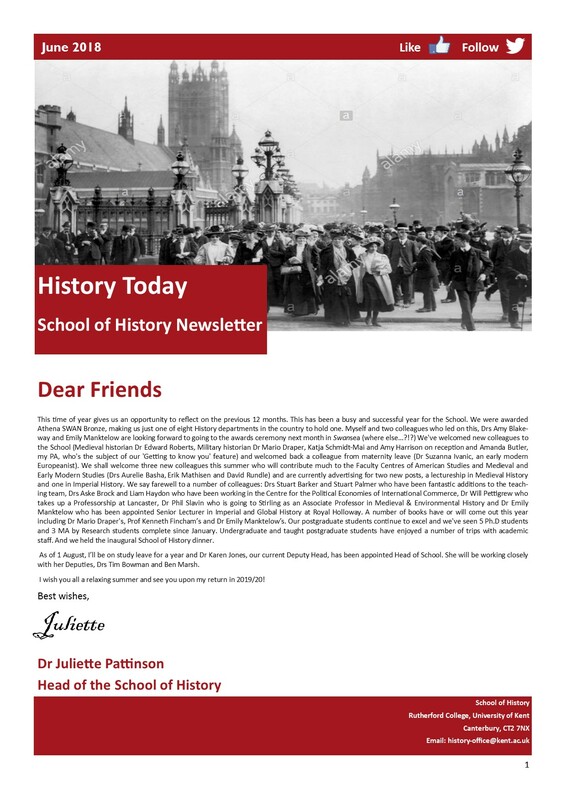 The latest edition of our School newsletter, History Today, is now available to download here.